A simple way to melt wax for batik, crayon painting, candle decorating, ceramic resist, jewelry, sculpture, and lapidary work. 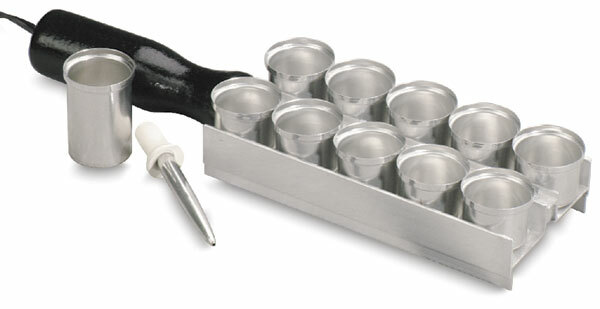 Kit includes a palette, removable cups, and a squeeze pen, all aluminum. Use squeeze pen to make controlled thin to thick lines.